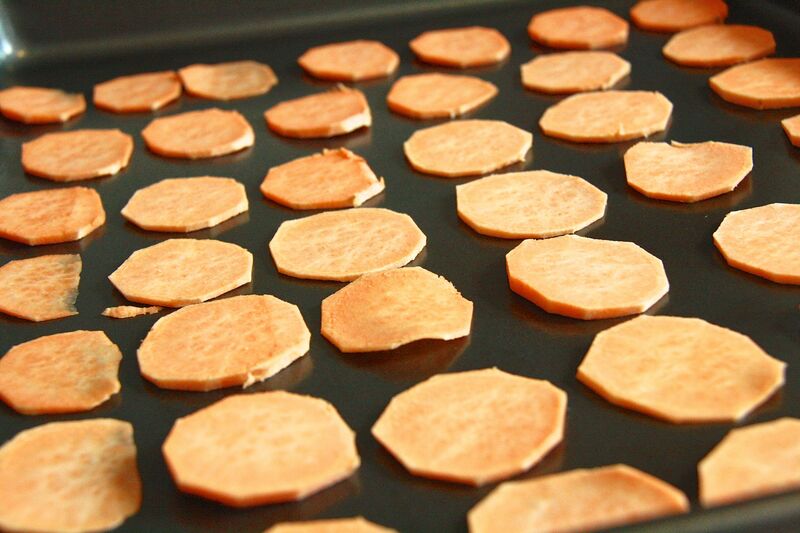 We LOVE sweet potatoes and probably eat them at least 3 times a week. 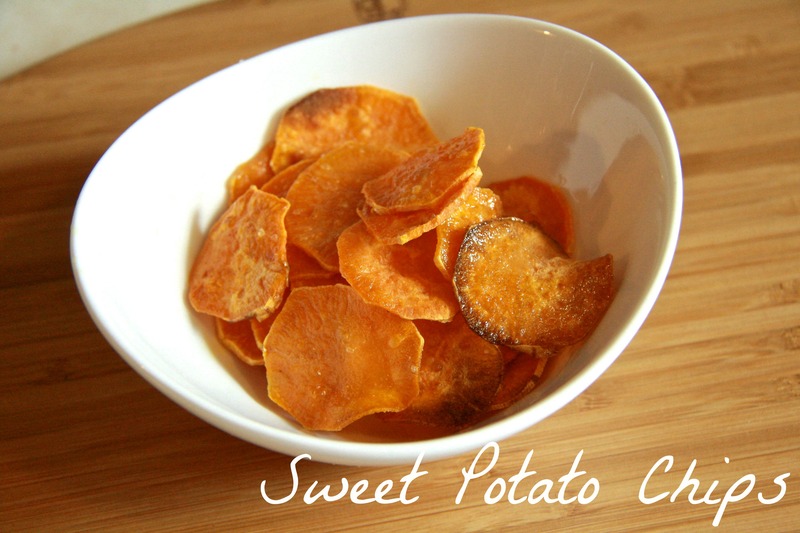 There are many ways to eat sweet potatoes but I think sweet potato chips are our all time favorite, especially homemade sweet potato chips. I’ve been working on perfecting my sweet potato chip technique and I think I’m almost there. 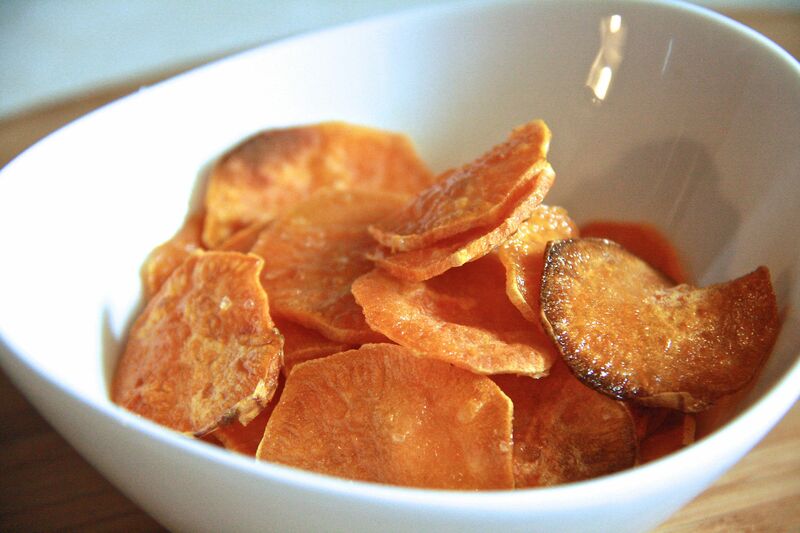 I like my sweet potato chips crispy around the edges but soft in the center. I think the key to getting them crispy yet soft in the center is a uniform cut. I prefer to use smaller sweet potatoes because they cook faster. After you peel your sweet potatoes cut thin slices, about 1/8 of an inch thick. 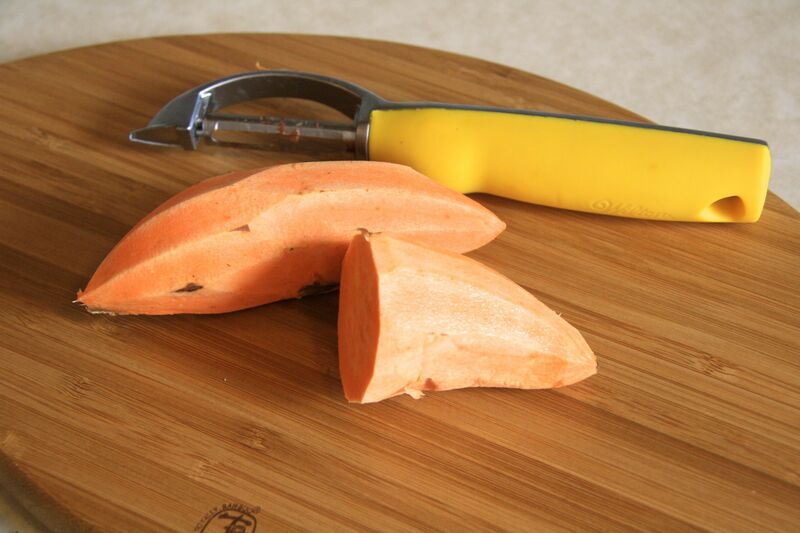 I hand cut mine, I had a hard time using the mandoline slicer to cut sweet potatoes because they are so tough. If they aren’t all perfect it’s OK, just remember to remove the thin ones first. 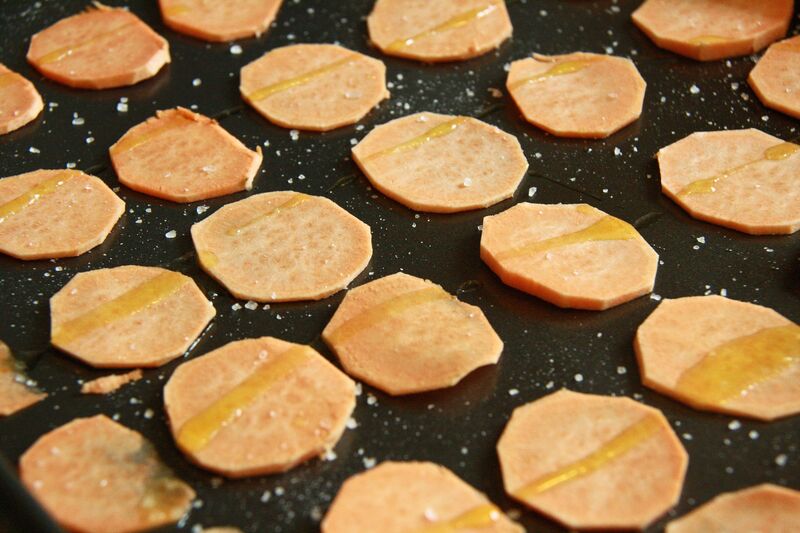 After you slice your chips distribute them evenly on a rimmed baking sheet and drizzle them with extra virgin olive oil and sprinkle with salt. Then bake the chips at 400 degrees for 8-10 minutes then flip and bake for another 4-6 minutes. * Keep a close eye on your potato chips while they are in the oven as some ovens run hotter than others and particularly thin slices will cook a lot faster. I often flip thin one earlier and remove them so they don’t burn. These look amazing! I am going to try them sometime this week. I SO want to make these. thank you! We make these for my son, who LOVES them! So good. We like to top them with guacamole… my kids LOVE them. YUM. I’m making these this weekend. Thanks Jessica!